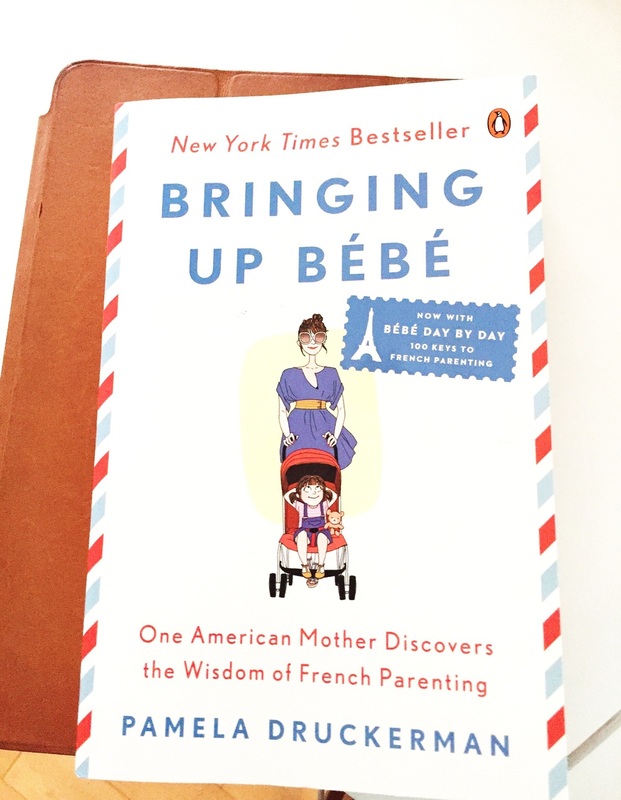 I've been soaking in the humour and insight on every page of "Bringing Up Bebe" and hoping I can apply a little French wisdom to our parenting skills. I recently finished reading the chapter on how French families get their children to eat practically everything, turning them into little foodies early on. It was so fascinating! A baby's first food is usually a green vegetable like pureed spinach, beans, or the white part of leeks. There's no snacking, except for the afternoon around 4pm, so they're actually hungry come dinner time and moms don't carry bags of goldfish and Cheerios around in their purses. There is no such thing as "kid foods." There is no "hamburger, chicken fingers, spaghetti, and grilled cheese" on every restaurant menu, be it Indian or Italian (and thank goodness, did you notice there aren't any vegetables in any of those?). Instead, they eat what their parents eat, only in smaller portions. You should see the menu of a French crêche (daycare)! It is filled with various vegetables, gourmet cheeses, and nothing processed or artifical. They have more than one course, usually starting with a fresh raw salad. They have to try a bite of everything. This is their golden (and my favourite) rule! They must at least try a bite of everything. It isn't "they can't leave the table until their done" but "they have to have one bite of everything." They don't pretend that "sugar doesn't exist" but have sweets in moderation so that children don't over eat sugar when they are allowed. I plan on practicing this by making healthy desserts (using lower fructose sugars like brown rice syrup, stevia, maple syrup, and coconut nectar) as a regular part of our week. Furthermore, parents see meal time as not only a bonding time for the family but also as a time to teach their children about food and "how to eat." Together they explore and talk about the taste, texture, and smell of different foods. At a young age they are included in meal preparation so that they feel part of the process. They believe that a child can have a wide and diverse palate, even if it takes some time, patience, and repetition. Owen already eats a lot of vegetables and a lot of what we eat, but I've been inspired to widen his palate and try even more vegetables (like spinach and leeks!) that I just never thought he would like. What are your thoughts? Does this sound completely out of reach to have little "French foodies" and less picky eaters in your home? I haven't reached the stage yet where Owen can tell me what he likes, so I'm curious to see how this will play out in the years to come. For now, I'm hopeful to have a little French foodie in the making.